On trend quirky green Polo Cufflinks. 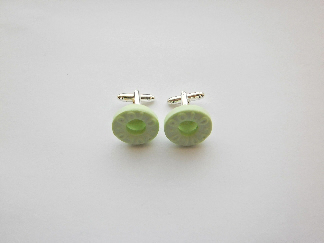 Funky sweet inedible Polo Cufflinks handmade from polymer clay. * Due to being handmade, sizes and appearance may differ slightly from picture.